Intown Creative Graphic Design: Marketing moves! My logo and 411 on the car. 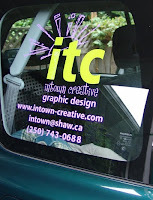 Walking the talk about graphic design being my silent sales person. 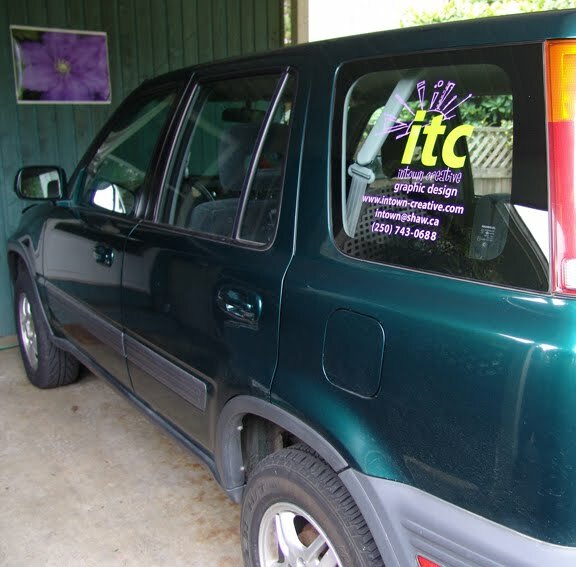 Look for me, my car and my logo around the Cowichan Valley and South Vancouver Island - honk if you see me! Printed and installed by Derek Paton at Signology.